The following 3 DVD's are not art instruction but contain many of David's finished paintings. 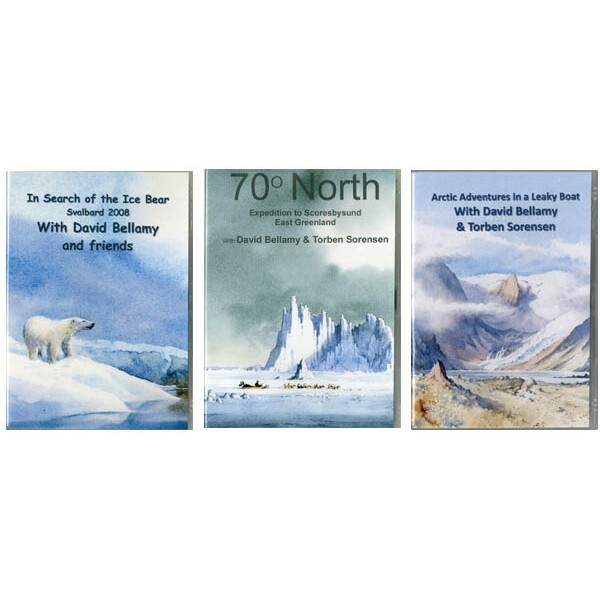 This film follows the boat-based expedition made by David and five friends to the far north-west region of Spitsbergen, to sketch and paint the spectacular Arctic scenery and wildlife. Highlights include encounters with polar bears and walruses. David is joined by Tony Brown, Richard and Rosemary Hale, Torben Sorensen and Will Williams. 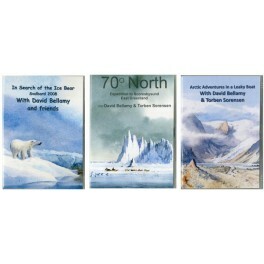 At the end of the film are many of David’s sketches done on the expedition and paintings completed shortly afterwards, accompanied by his commentary. Running time 60 minutes approx. setting off that the boat had a leak. Unperturbed they carried on in their usual carefree fashion to escape into a wilderness of ice, rock and sublime scenery where they are most at home.